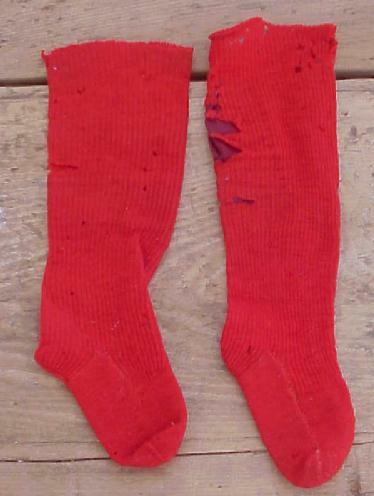 EARLY SMALL CHILD’S LONG RED SOCKS ..
Old early long red socks .. measures 11 3/8” long .. 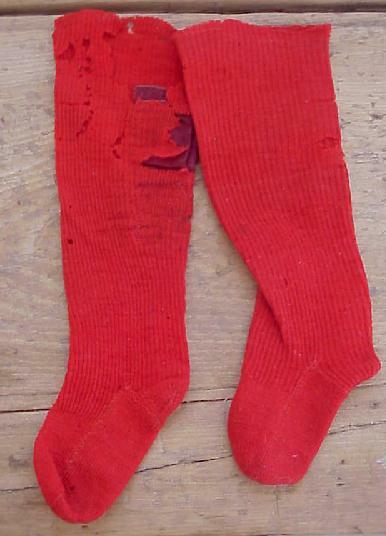 Very nice with charming old wear .. old patches .. tattered areas .. age holes .. all expected for old socks of this sort ..
Red small socks are the ones we rarely see .. Authentic and from a sock collection ..